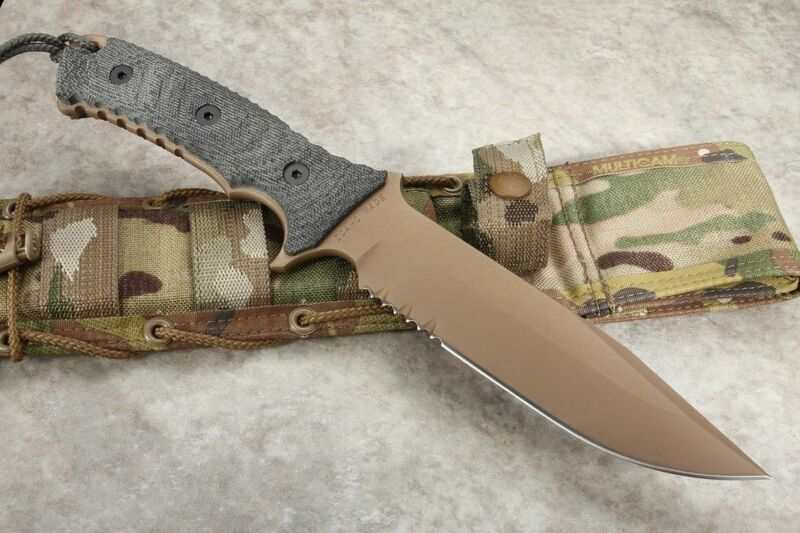 Chris Reeve knives Pacific tactical fixed blade with Flat Dark Earth PVD coating. American Made stainless CPM S35VN steel blade. 55-57 Rockwell hardness. Full tang design. Patrial blade serrations. Hollow grinds on the blade. 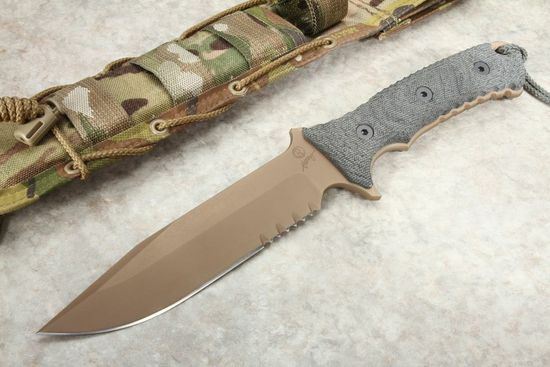 Sheath is made by First Spear for Chris Reeve Knives. Sheath is kydex lined. The Chris Reeve Pacific knife is proudly Made in the U.S.A.
best experience ever had online shopping.